Interesting, but what good are they going to be? Stock brakes are fine, except for feel, upgrading to F4i calipers and changing fork valving is even better. You can also swap on 6-pot calipers if you want those bragging rights. I rode my VTR for the first time in a month, after hopping off my ST1100 and then my VFR800. 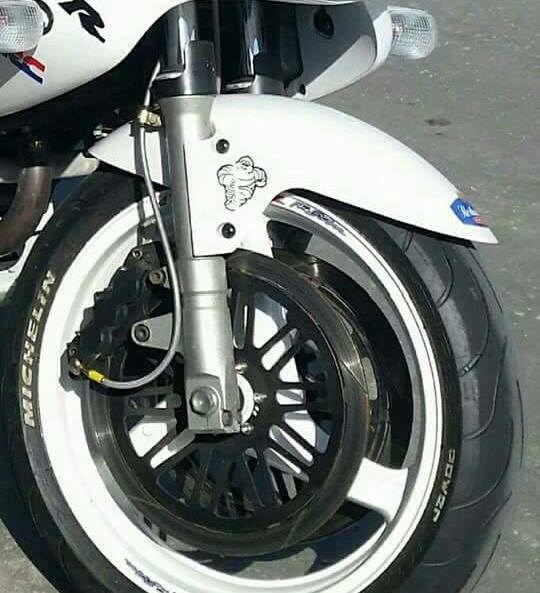 Although all run EBC HH pads, and my VFR has 600F4i calipers, the CBR954 set on my VTR are my favourites, fabulous feel and power. 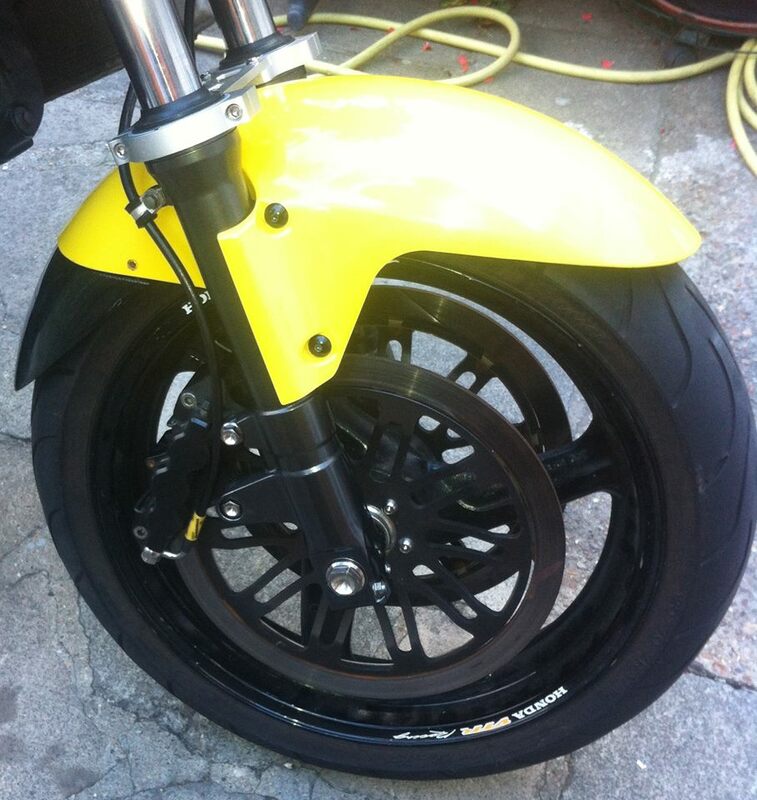 Better brakes allow you to push your bike harder and help to explore the upper reaches of its performance! I have F4i calipers, braided lines and EBC HH pads and the difference is amazing. A very worthy mod, so much so that I had to fit a fork brace to help stop the front end from flexing under hard brakes. If my VTR was a commuter I probably wouldn't of bothered, but it's not so I did. Helps me to give my mates the ***** as it helps the old girl keep the current bikes honest. My daily bike is a commuter but I cant imagine anyone rides a vtr and never has a moment or 2 to exploit the sweet motor and handling. Still love having the brakes. 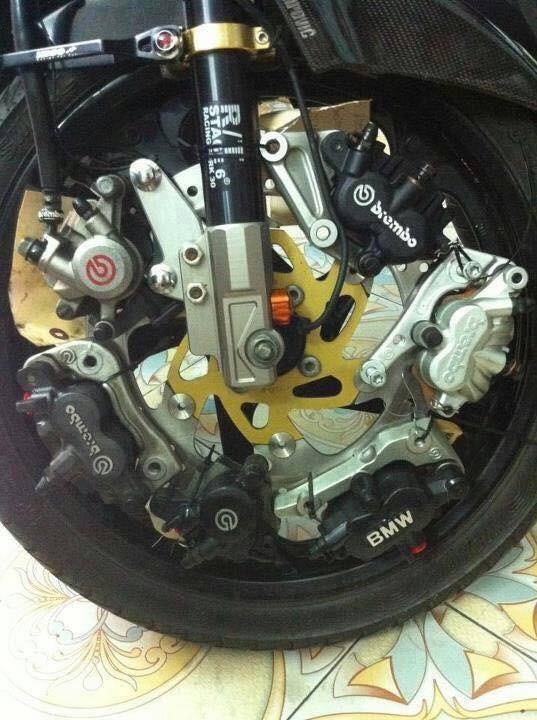 Good brakes instill confidence in the bike. Confidence is a huge part of the enjoyment of riding. The best you know, is the best you know. 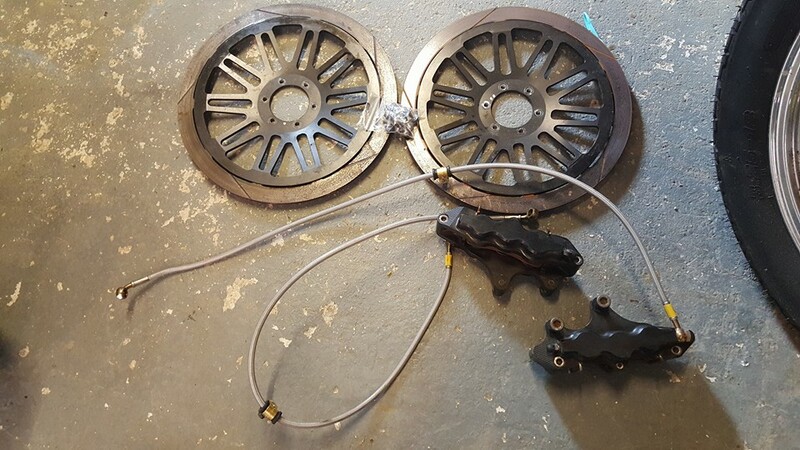 Stock VTR brakes are indeed just fine, until you've tried something better. CBR954 brakes were a cheap alteration with a big payoff. Last edited by Fastguy59; 07-06-2016 at 07:00 AM. Git you some of this! what pads you runnin' with those? 90hp Ducati? I do it at Loudon on a 50hp ninja. Passed and lapped a bike shop owner on a 173hp Ninja 1000. He came back to the pits freaking out. "What the heck was that? Teach me how to do that". Nothing really beats the fun of passing on the outside of a steep uphill turn (T3-4) with 1/3 the hp. Zcoo pads. Want to try, but have to build up the mental strength to pay that much. Last edited by Fastguy59; 04-11-2017 at 11:10 AM. I bought zcoo pads from ebay, italy seller. Shipping was very fast. Maybe consider purchase from japan.webike for US. Ran first 100km with these pads. There is not much difference (if any) in stopping power compared to ferodo st used for years, still rate them high. What I feel is nice soft first touch and more predictable modulation when applying force on lever. This little piece of luxury that makes the difference Fastguy talk about. Last edited by Stephan; 04-12-2017 at 09:57 PM. for whats its worth. yes storm brakes are fine most of the time. good pads,steel lines well bleed etc etc,,,but. id rather be looking at to much brake then looking for it when i need it.. I'm tired of the bickering... deleted all posts not related to the original thread topic. Last edited by Wolverine; 04-21-2017 at 09:13 AM.